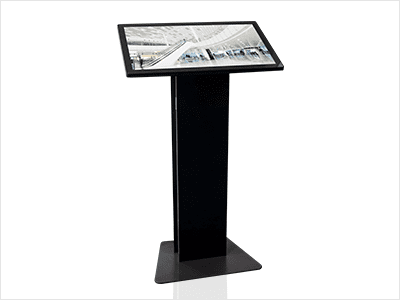 The friendlyway luminum Stele has been developed as a premium product for all digital presentation purposes. 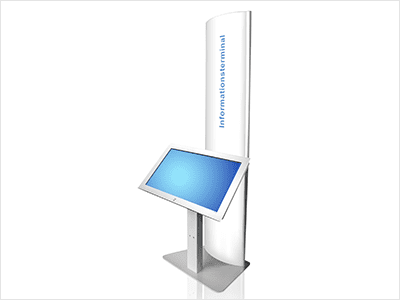 In the entrance area – for example, as a virtual porter to welcome your guests, to explain your products and services at the point of sale or to present your company in the best possible form for trade fairs and events. The housings of the luminum series are made of aluminum and by a special surface treatment resistant to scratches and other use traces. The friendlyway luminum already underlines the quality requirements of the operators of their steles. 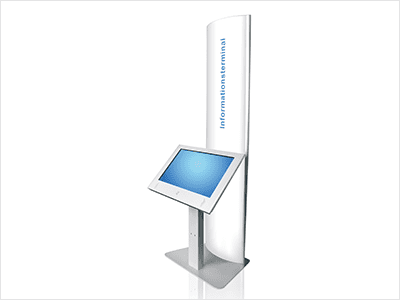 The „all-in-one“ screen is ergonomically inclined so that it can be viewed and operated excellently from standing or sitting. Our customers therefore choose the luminum steles, because they often present their own company and their products, and do not want to do so under any circumstances on a low-cost cheap solution. The huge 32 „40“ or even 55 „display is equipped with the latest Multitouch technology (option). All available sizes are real eye-catchers in your shop, in your foyer or at your trade fairs and events. The unmistakable shape and the appealing premium design invite your customers in a friendly way to inform themselves about the luminum steles above all knowledge. As a special highlight there is the option of an impressive 250 cm high light column which can be provided with your logo and (to recommend) clearly indicated „what is it about here“ (for example, your dream car). Whether 32, 40 or 55 „- all three variants impress with their almost fantastic processing quality. Each device is manufactured and equipped according to your wishes and thus allows you to integrate the device even better and more attractive into your corporate environment. If you would like to present events professionally, you can also rent the equipment at friendlyway – and then only pay for the necessary days of operation and logistics: we deliver, build up, start your application … and get everything back after the event. A well-liked „around“ rental service of the friendlyway. The extensive selection of options makes it possible to expand the functions of the terminal exactly according to your requirements. Particularly popular are the multi-touch screen, motion sensor, sound and the high-resolution webcam. The friendlyway luminum series is a system portfolio tailored to your needs, which meets all modern requirements and completes every ambience through design and elegance. Long-term use of your system, thanks to the high-quality and stable processing possible. The average lifetime is 6+ years. 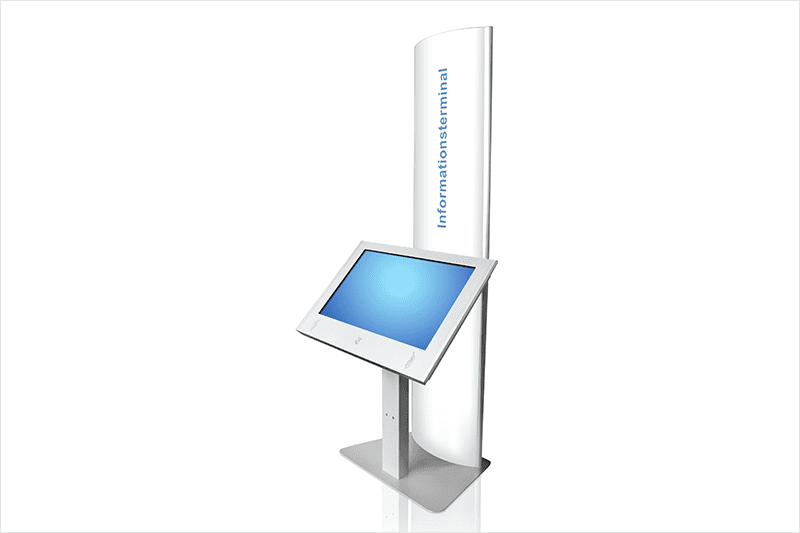 Active and passive product presentation with optional, interactive operation by the user.